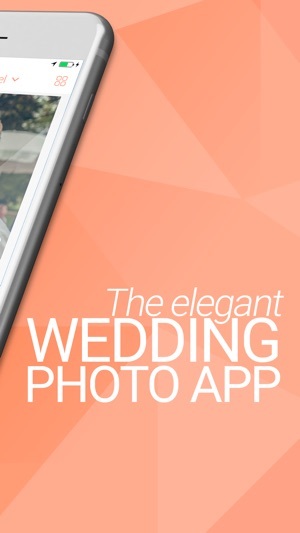 The world´s most beautiful wedding photo app. 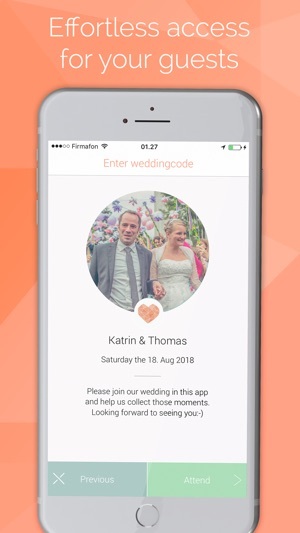 We have created an app that is stunningly beautiful and will fit every stylish wedding. 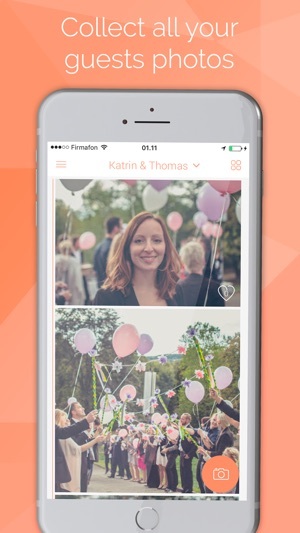 Use the app to collect pictures from your guests - before, during and after your wedding. With one click on a button, you will be able to download everything. The app is translated into 18 different languages, so your international guests will be able to use it in their local language. We have made an amazing category feature, that automatically categorizes all your photos during the wedding day. With this app we wanted to create a one purpose app, that is simple and do not let features create chaos. 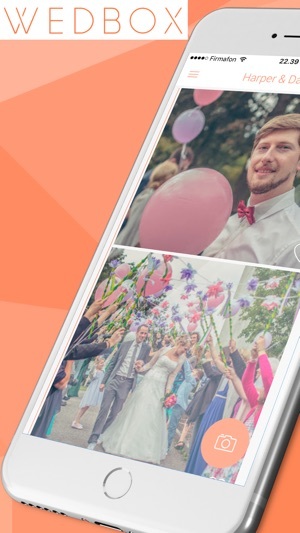 With this app, you will get a closed forum between you and your wedding guests for sharing pictures and videos, and nothing else! We take pride in not beeing a guestlist, wishlist, wedding registry and so on because less is more. Download the app and experience it for yourself! Now gives the users the option to connect with a photographer. New Languages for Slovakia and Hungary, both will in the next update get more accurate translations. I am so incredibly pleased with Wedbox!! I didn’t want all of my photos shared all over social media with hashtags, so I went looking for an app that could host them! What a treasure this was!! So incredibly easy to navigate, even for the technology challenged! I got pictures and videos from my wedding that I would have never seen. Within a day or two I had 154 photos and 5 videos posted from our guests! While I wait for the professional pictures, I have pictures and a totally different perspective of our wedding and all the fun people had! Thank you Wedbox!!! It’s a great idea for brides to see all photos from their wedding without having to share them all on Facebook (because personally, I’d rather choose what’s shared on Facebook that’s not taken by my photographer), BUT the free version doesn’t allow you to upload videos for free! Which means that no one can share any of the short snap videos they took, and brides don’t get to see them. 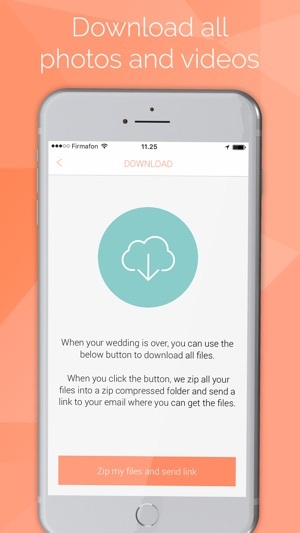 I think that’s kinda cheap, and no one is going to pay for an app just to upload videos for someone else’s wedding. You should make it so 1 minute or less videos are free to upload. Or a shared album on google drive, Dropbox, box, or pretty much anything else. Support is subpar, they try to force you to fb messenger to have an interaction. Overall, I’ve been trying to upload the pictures for weeks, nothing is working and I work with tech for a living. Avoid. There’s no point in getting the app, just puts a barrier between you and your guests uploading pics.